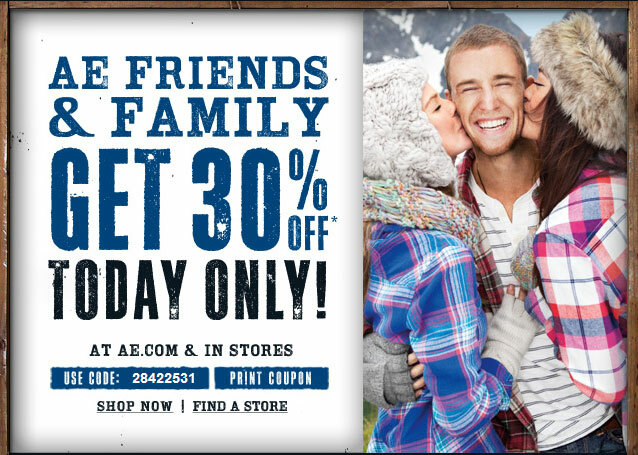 30% Off Everything at American Eagle – 1 day Only! Use code 28422531. That was my code from the email I got. I’m not sure if everyone’s will be different. Ahh I missed this! Did you get anything good? I’m waiting for Black Friday which I think will be INSANE! So I’m going to wait and see if there is another sale promotion. I don’t go to American Eagle frequently but there are definitely a few sweatshirts I’d love to add to my closet! I make about 3 purchases a year mostly camis, undies, and bras. I like their aerie line. Occasionally I see something I like but not often. Last year, I bought denim leggings from AE and I guess my post pregnancy weight was still fluctuating. I bought a size 10. Now I’m a size 6. So the leggings are too loose now. I might have to ebay it.